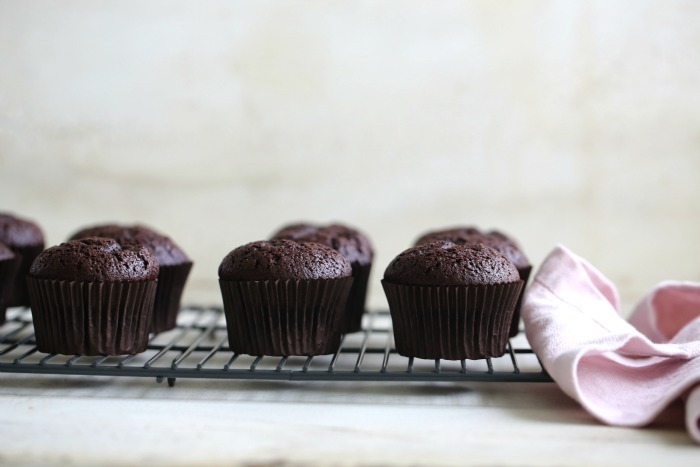 I love these cupcakes, these chocolate cupcakes are topped with fluff. Afterwards, they are dipped in dark lush chocolate, and btw I always eat the top first, my goodness it is so good! 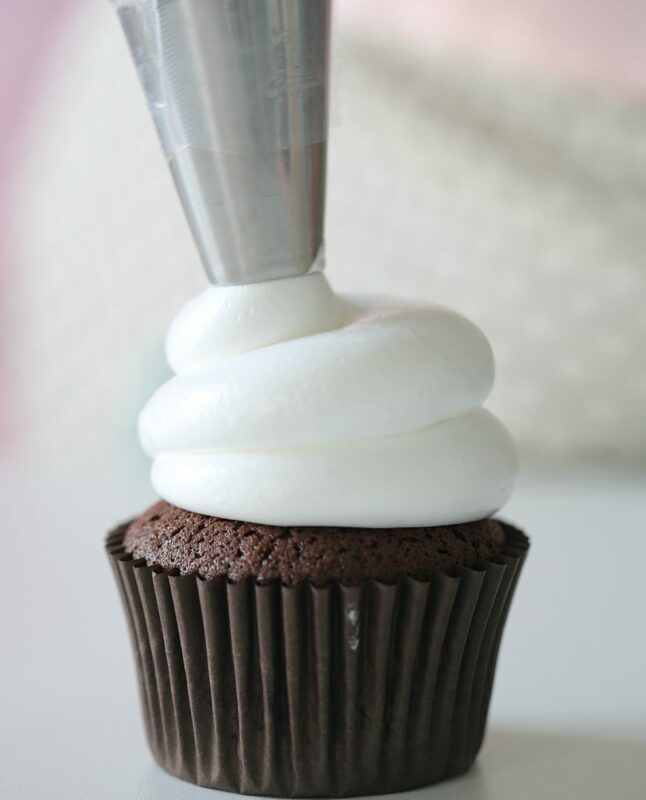 I hope you will try these hi-hat cupcakes. Preheat the oven to 330°F (165°C). Line one or two cupcake trays with 16 paper cases. Sift together the flour, cocoa powder, baking soda, baking powder and salt and set aside. Put the eggs, sugar and vanilla extract into a mixing bowl and beat on medium speed for 5 minutes. Scrape the inside of the bowl with a rubber spatula and beat for another 5 minutes, now on high speed. Scrape the inside of the bowl again add the mayonnaise and beat until blended into the mixture. Sift in the flour mixture in two additions, alternating with the water or coffee. Mix for a maximum of 30 seconds, or fold in with a rubber spatula. Divide the mixture between the paper cases, I use an ice cream scoop for this. Bake on the middle rack for 20-25 minutes, or until a cake tester comes out clean. 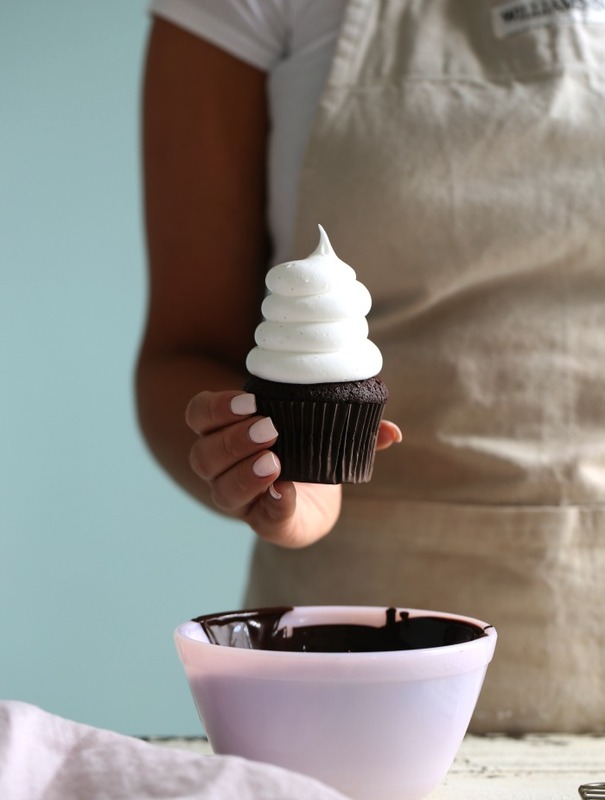 Transfer the fluff to a piping bag fitted with a wide circular tip. 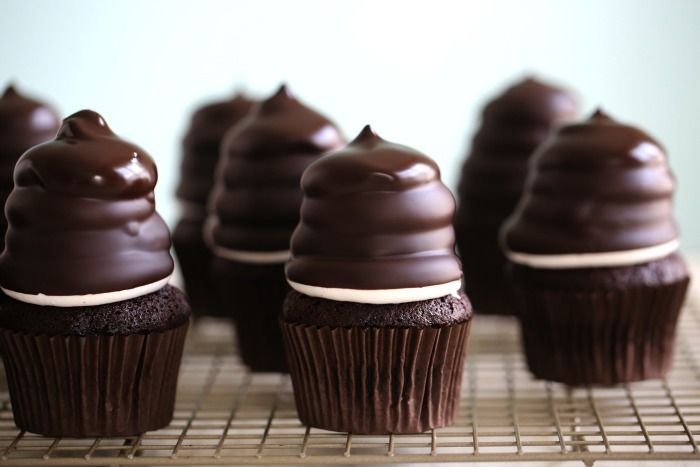 Pipe 5-6 swirls on top of each cooled cupcake, then place in the refrigerator while you prepare the chocolate coating. Gently melt the chocolate, stir in the oil and let cool for 15 minutes. 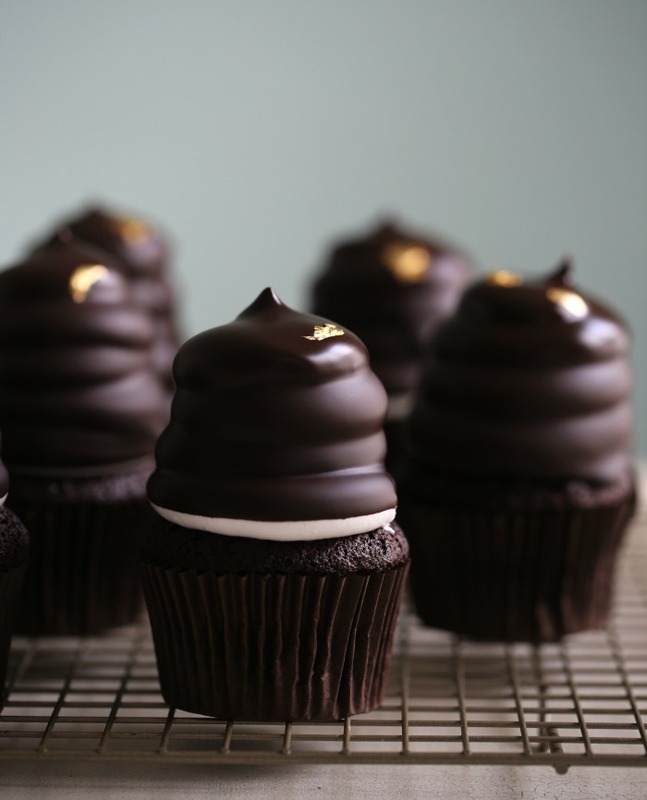 Remove the cupcakes from the refrigerator and dip the vanilla fluff topping into the melted chocolate. 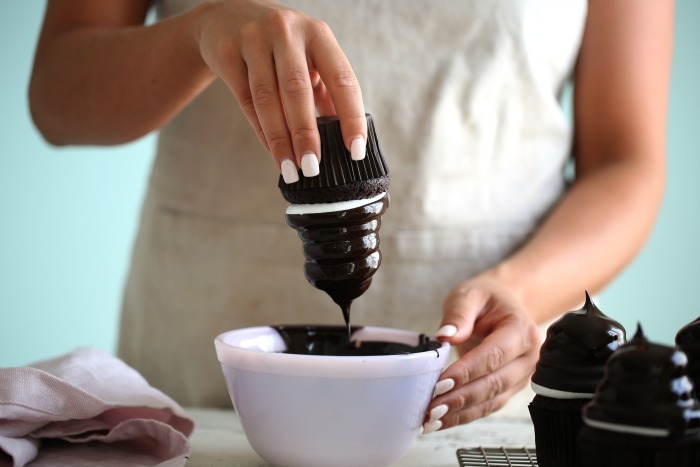 Alternatively, place the cupcakes on a wire rack and drizzle the chocolate on top. TIP: If you’d like to decorate with edible gold leaves, do this when the chocolate is almost set. Hi! What’s the amount of chocolate and oil needed for the dipping? Thanks! Gently melt the chocolate, stir in the oil and let cool for 15 minutes. 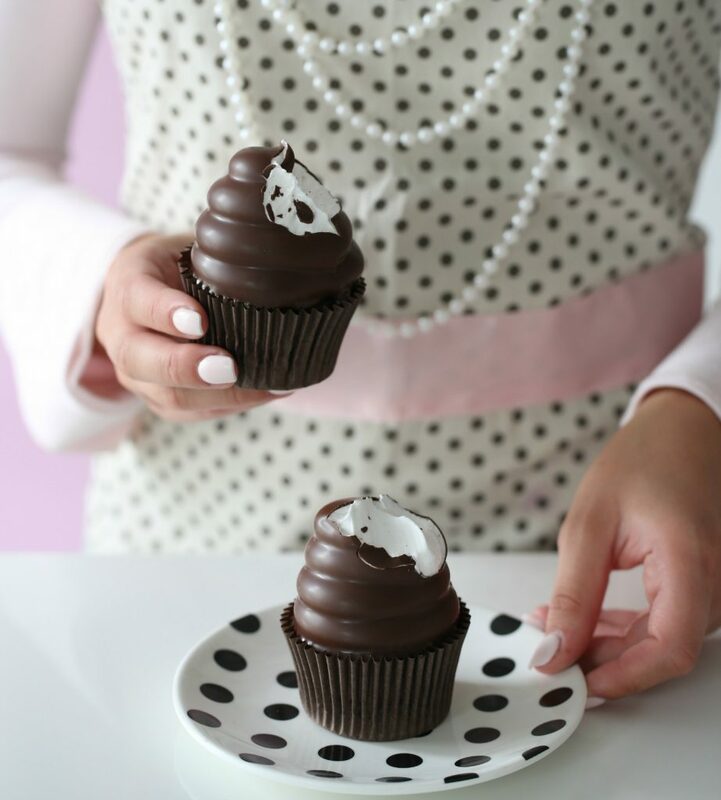 Remove the cupcakes from the refrigerator and dip the vanilla fluff topping into the melted chocolate. 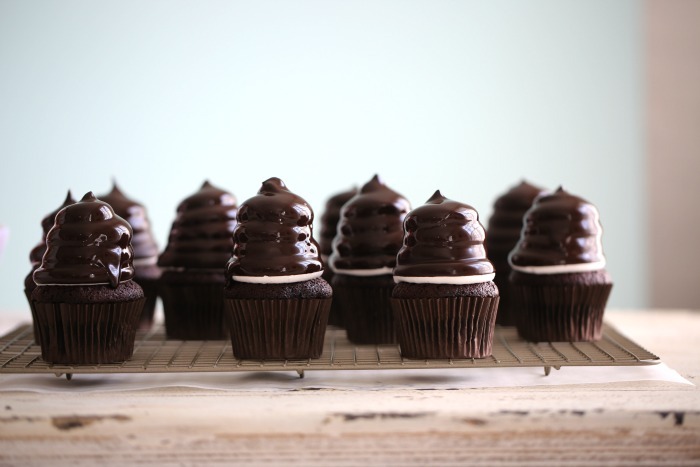 Alternatively place the cupcakes on a wire rack and drizzle the chocolate on top. What kind of chocolate do you use? Like the brand name. Love the look of there! Is it ok to add a little bit of gelatine to the white fluff recipe if I want to make sure it will hold its shape?.. 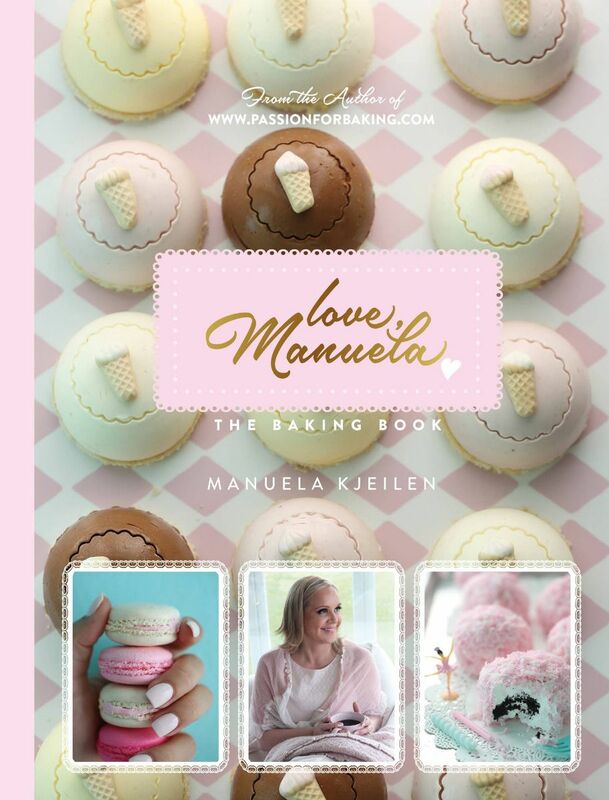 And will it hold its shape if I do not do the chocolate coating? You dont need gelantine, it holds it shape perfectly! 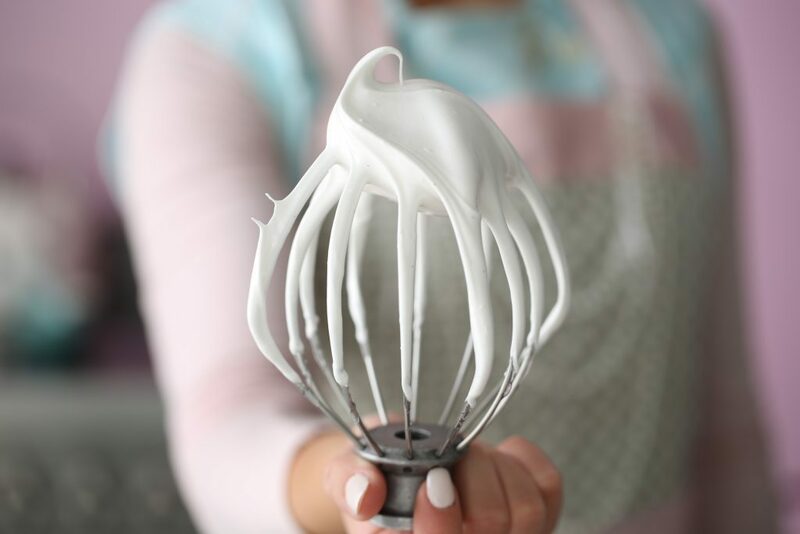 What kind of stand mixer is that and where can I find it?